PureSound Technologies launches ClarityOne earphones | What Hi-Fi? 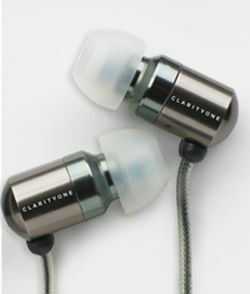 PureSound Technologies has launched its first set of earphones, the ClarityOne. Claiming to have been in development for 12 years and with 6 patents under its belt, the PureSound Processor is crucial to the ClarityOne sound. The processor circuit aims to deliver "perfect phase unity" between the amplifier and the drivers within the earphones. Not only does PureSound promise sterling sound quality but thanks to the efficient processor the earphones are easier to drive and will use less of your player's battery. PureSound Technologies is a collective of "audio experts and self-proclaimed audiophiles" based in Canada and the ClarityOne earphones are the company's first product. The PureSound ClarityOne earphones are available now for £115 and come with an iPhone-compatible mic.